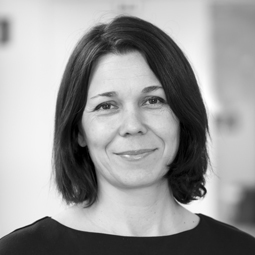 Our target is to reduce emissions from the Group’s operations by 40 percent per SEK of turnover by 2019 compared with 2013. A large share of total CO2 emissions, about 64 percent, is from transporting products. For that reason, we have set a specific target that by 2019 a maximum of 2 % of total product shipments will be sent by air (based on number of units shipped). The target for 2016 was a maximum of 4 % air freight of total collection shipments to our central warehouse. This target remains for 2017. Each year we compile a climate report, according to the GHG protocol, to measure the carbon footprint of the Björn Borg group. Our carbon footprint decreased with five percent between 2015 and 2016. 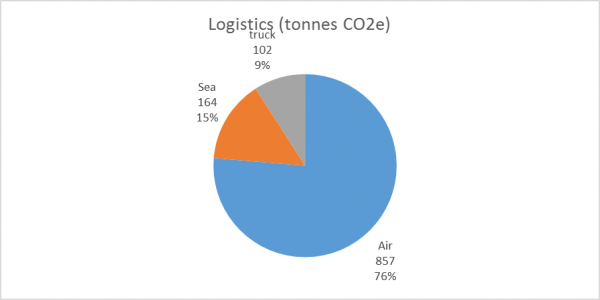 Logistics, such as shipping, accounted for 64% of our total climate impact in 2016. 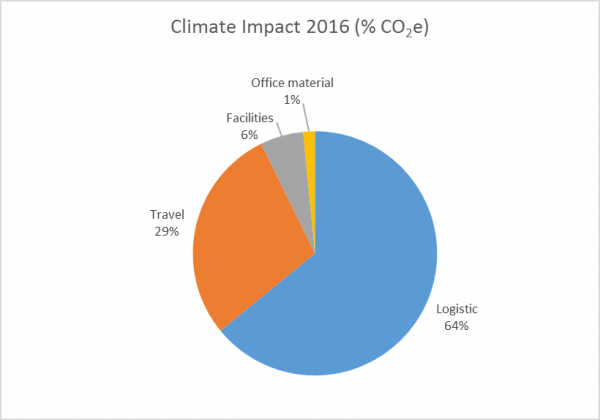 Air freight represented as much as 76 percent of the total climate impact from transports in 2016. Air freight accounted for 5,1 percent of all transports to our local warehouse (collection units shipped) in 2016. Although we saw a big improvement compared to 2015, with 8 percent shipped by air, this means that we did not reach our target for 2016 of maximum 4 percent air shipments. The reason was that one large shipment got stuck in a customs control in China, delaying delivery substantially and in the end, to meet customer deadlines, we had to fly the products to Europe. In 2017 we plan to take more preventive action to ensure that we meet the target of 4 percent. A priority here is to improve the planning of shipments as well as internal discipline in complying with the policy. We have a specific approval process internally for all air shipments and follow up on share of air shipments for each collection during the year. In 2017 we will also pilot train shipments from Asia to Europe to evaluate if that could be an option. Measures are also being taken to reduce air shipment of product samples during the product development process. We challenge ourselves on whether samples are necessary for a specific product and whether transports of samples can be better coordinated.